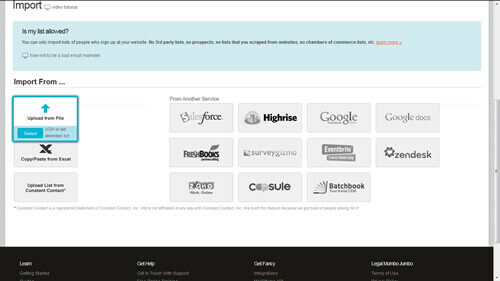 One of the most popular services to use with WP Email Capture is Mailchimp. It’s easy to see why, as for an entry-level marketer, with a storage capacity of 2000 email addresses and 12,000 emails a month, Mailchimp is great for those who dabble in email marketing, people such as myself. WP Email Capture Free is completely compatible with Mailchimp, and as such it is one of the pieces of software I recommend using with it. 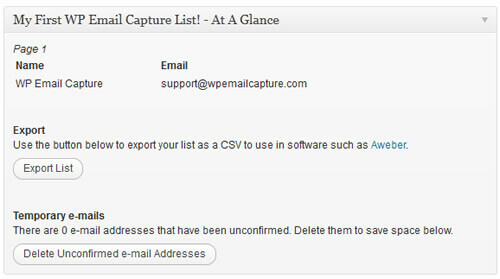 Here is how to use email addresses captured in WP Email Capture in Mailchimp. This is using WP Email Capture Premium. Don’t worry, the functionality is available in the free version as well! To begin with, go to the WP Email Capture Settings Page (or go to the Dashboard) and click on the “Export List” button to export a comma-separated value (CSV) file of your list. Save it to your desktop. Now you need to create the list within Mailchimp. 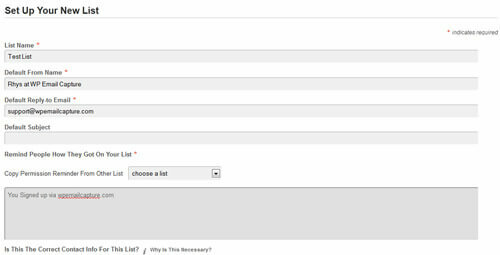 If you have a list already, or you are importing the email addresses into a current list, feel free to skip this step. If not, log into Mailchimp and create a list by selecting “Create List” located in the sidebar. Fill in some basic details, as well as your address, and click save to save the list. You will now be taken back to the Mailchimp’s list management screen. Click on “Import” underneath your list’s name, and scroll down to “Upload from File”. Click browse and find your file on your system. Click “Open” and then “Import List”. If you are a dab hand at Microsoft Excel, you can open the CSV file in Excel and Copy and Paste the values into Mailchimp, either way is fine. 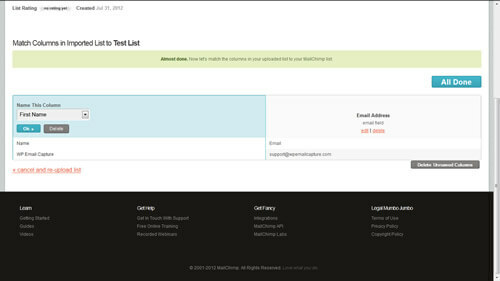 You then need to match up the WP Email Capture columns to Mailchimp’s columns. Mailchimp is usually pretty good at matching Name and Email Address, but when completed, click “All Done” and your list will import! Depending on the size of the list, you may get an email confirming that all email addresses were imported fine. Some emails you may have to manually enter (Mailchimp doesn’t like importing non-named email addresses such as “info@” for example), but it’s usually quite a small number. And that’s basically it! You are now able to send emails to addresses collected in WP Email Capture using Mailchimp. Feel free to ask questions below.